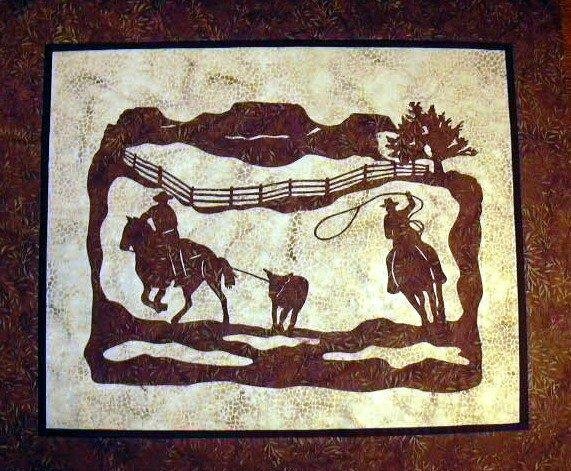 Team Work Pattern. . Includes both wallhanging & accent pattern. Feed your western appetite with this action scene of true-to-life cowboys hard at work as they subdue a runaway steer with fluid grace and precision. From Willow Creek Creations.